After 12-ish years of vocational ministry with a ‘web design’ side hustle I’ve turned my full attention to helping churches and pastors reach their communities and level up their online platform. I do that mainly through building custom websites for churches and non-profits, limited coaching on systems and church structure, and now I am also doing it through helping pastors level up their blog game with a professional, turnkey website. God gave you a voice, and I believe that what God gave you goes well beyond a pulpit. The problem is that having a DIY learning curve causes frustration, we don’t know what tools we actually need, and there isn’t a guide to turn to when we need a helping hand. Carrying what God is teaching you into the interwebs is a daunting task! Most pastors I’ve come across that made a ‘resolution’ to blog did well for a few weeks and then let their platform hibernate till their next season of resolve rolls around. Our vision for Pastor Blogs is to help you expand your online platform by providing you with a turnkey blogging solution, managed hosting/support/maintenance/optimization, built in publishing and marketing tools, simple to follow courses and teaching to help you get the most out of your Preacher Blog, and a private community just for Preacher Blog users! You can sign up here to become an early adopter. Right now I’m working hard on the very first template for Preacher Blogs. Once we have the first turnkey template live, you’ll receive an email with our early adopter code to lock in your lifetime discount. We will likely launch at $20 monthly, but as an early adopter that helps us work out the kinks and decide on new features you’ll get our platform at $10 a month, for life. As an early adopter I’m specifically asking that you help us by providing much needed feedback as you use the platform, help us decide on new features, and tell me your ‘pain points’ so we can iron them out and make the entire process and use as smooth as possible! Here’s a list of features we are planning for the first iteration. Drag and drop page builder that is super easy to use. Fully managed hosting, security and optimization. 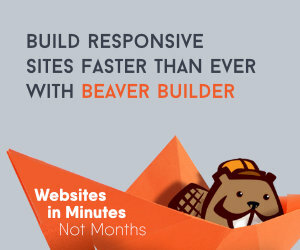 Never worry about updates or slow sites again. Completely turnkey. You just move in and replace my words with your own. Blog posts layouts for video, audio and written content. Webinar coaching + Q&A for early adopters to ask questions and make suggestions. Basic SEO to make sure your Preacher Blog is talking to Google. Custom domains. Take your domain and connect it to your site. Private Facebook group for Early Adopters once we reach 10 users. Built in sharing and social media tools. Easy setup of your Google Analytics and Google Search Console. Here’s what we’d like to have in place by the end of our ‘early adopter’ run. Video courses to help level up your blog’s content, SEO prowess, and making sure your site is talking to Google correctly. Five unique, turnkey sites ready to go! Built in ad space to use however you want. (think Google Ads or sharing your own events). Stock photo integration so you can find the perfect picture. Here’s some things we are looking at long term. Sharing content from the Pastor Blogs network. Online store for you to sell physical and virtual products. Weekly (or bi-weekly) emails to provide writing prompts, blogging ideas, how-tos and more. Guys, I’m excited about this. I really do believe that pastors miss out on so much discipleship opportunities online. I’m positive (POSITIVE) that many of you reading this can help your churches, networks, friends, ministry circle grow. Check out PastorBlogs.com and sign up today! Hey guys! I am a church leadership and creative guy living in the Atlanta area with my awesome wife and two kiddos. I've worked on staff with a number of churches as well as traveled full time as a conference speaker. Now, I work full time at The Reach Company helping ministries and businesses tell their story and make an impact online.